With the recent release of The Devil You Know, the new album by Heaven & Hell (otherwise known as Mob Rules-era Black Sabbath) it seems a perfect time to look at the monstrous tones of one Tony Iommi. Iommi’s pioneering rhythm guitar style defined heavy metal, but while today’s players follow Iommi’s example by tuning down, they tend to use heavy strings and sometimes even baritone guitars to keep everything sounding tight and punchy. But even in Sabbath’s early days Iommi used the lightest strings he could find, and this was out if necessity rather than choice. At age 19 an industrial accident robbed the lefty of the tips of his right middle and ring fingers. While what was left of his fingers were healing, Iommi could only use his index and pinky fingers for fretting – which placed the classic root/fifth power chord and minor pentatonic scale shapes right under his fingertips, if you’ll pardon the pun. Iommi eventually fashioned leather ‘thimbles’ to replace the missing fingertips, but to further aid his weakened fingers in things like bending and hammer-ons he started tuning down. And down. And down. The combination of light strings and downtuning added a darkness and warmth that you just can’t get with a standard tuning or with downtuned heavy guage strings. When it comes to rhythm you’ll want to use a relatively low gain sound for early Sabbath. 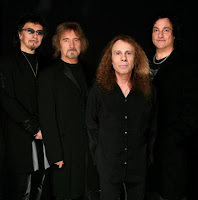 Don’t let the overall heaviness of the band fool ya: much of the low end weight is created by not by Iommi himself but by the combination and interaction of Iommi and bass player Geezer Butler. Contrary to modern metal convention, if you’re going for an early Sabbath sound you should favour the neck pickup for your rhythm tone, and as much as possible play chords on the E and A strings instead of switching to higher strings. If played the way Iommi does it, the Iron Man riff should take you up to the 15th fret on the low E. Remember it’s often what you play and how you play it, not where the knobs are set. Back in the day Tony used a treble booster to nudge his amp further into overdrive. If you want to go this classic route, check out the Roger Mayer Concorde +. Another important but overlooked aspect of Iommi’s sound is the use of parallel effects. The two best examples of this are the solo of ‘Paranoid’ and the rhythm guitars of ‘Killing Yourself To Live.’ In the ‘Paranoid’ solo, the signal is panned left and right, with the straight guitar on the left and the same performance fed through a ring modulator effect on the other. The result is a fuzzy, slightly seasick sound which adds to the doominess and uneasiness of the song’s subject matter. If you just listen to the right speaker it kind of sounds like a bee has flown up to a microphone and started scatting the solo, but when it’s combined with the regular unaffected sound it’s totally killer. These days Iommi has his own signature Laney head (the GH100TI, pictured left), Gibson and Epiphone SG guitars, and Gibson humbucking pickup. The Iommi pickup is one of the highest output passive humbuckers you’ll find, so if you’re trying to recreate his later tones you’ll need to do some serious boosting with a pedal to get the same kind of effect on your amp’s preamp stage. CLICK HERE to buy the Epiphone Tony Iommi Signature G-400 Electric Guitar from Music123 for $599. Quick! 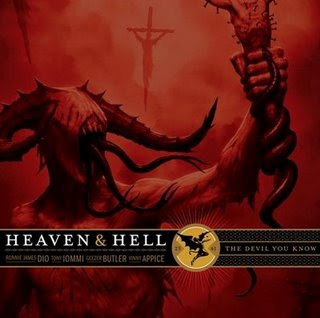 Prepare thyself to have thy brains crushed by the official Heaven & Hell The Devil You Know listening party! Click here to hear a 5-song preview of the new album! The listening Party Tracklist is Atom and Evil, Bible Black (single), Double the Pain, Rock And Roll Angel and Turn of the Screw. Also, check out this brutal animated Heaven & Hell promo on YouTube. The album is released on Rhino Records on April 28. 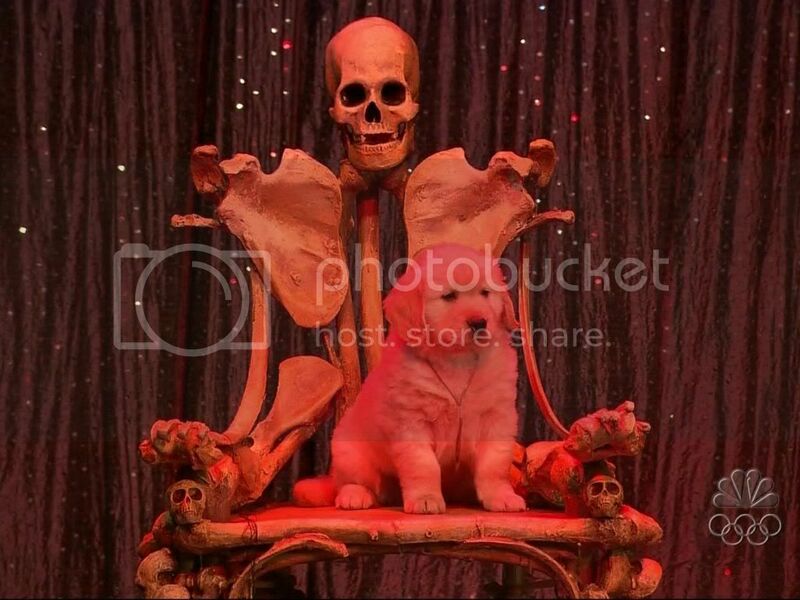 I’ll have a review on I Heart Guitar as soon as humanly possible after that date. 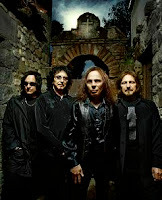 LOS ANGELES — After finishing several heralded world tours as Heaven & Hell last summer, Ronnie James Dio, Tony Iommi, Geezer Butler, and Vinny Appice were tighter than ever before, both musically and personally. With that goal in mind, the band once again converged on Rockfield Studios in Wales last winter, the same place they used 17 years earlier to record their last album, Dehumanizer. The result is the long awaited new album THE DEVIL YOU KNOW, featuring 10 soon-to-be-classic tracks from the Dio-fronted version of Black Sabbath. The highly anticipated set arrives on April 28 from Rhino for a suggested list price of $18.98 (physical) and $9.99 (digital). ramping up the intensity on “Follow The Tears” and “Double The Pain” and “Breaking Into Heaven,” the latter diverging from its glacial procession for Dio’s majestic chorus about fallen angels planning an attack on paradise.